To some extent every group participates in code switching in one way or another. The relationships that particular sub groups have to languages happen as a result of different groups living together as a consequence of historical events, human migrations, redlining etc. Although it may seem that attempting to fit in and ascribing to a cliquish mindset will only serve to keep unwanted racial barriers, languages and word associations of various ethnic and cultural groups is critical for uniting communities and preserving our identity. Many transracial adoptive parents ask me styling questions about caring for their children's black hair. Whilst being steadfast in my encouragement towards wearing black hair au naturel, I openly acknowledge through words and photos that my journey towards ridding myself of wigs and weaves did not happen overnight. I also know that peer pressures (for both the child adoptee and their parents), finances, weather, access to black hair salons and politics are factors when deciding upon natural hair. After NYC Mayor de Blasio's son donned his afro I read a tweet by political correspondent Hunter Walker who stated that de Blasio "...should probably encourage Dante to give his hair more than a weekly washing." 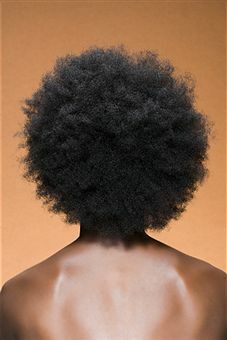 This culturally insensitive comment is not unique - a once per week or once every other week hair wash is easily understood by the black community, but other ethnicities may think this to be unsanitary. Though comments like these may feel to be a jab in our weary armor as we continue to be embrace our natural selves, let's plod and take a cues from Esperanza Spalding and Lupita N'yongo as they help to redefine the rigid lines other cultures have drawn for us. I'm curious what minority subgroups may take over next? Perhaps instead of the general public stigmatizing adoptees as adorable, cuddly, black, orphaned babies, we will begin to be seen and heard as articulate and intelligent adults? We, adoptees are making progress via sites such as The Lost Daughters and Land of Gazillion Adoptees, but truthfully we still have a ways to go until we gain as firm the grasp that Black women have on the term "natural hair."